What to Do if Your Propane Tank Makes Noise? Regardless of whether your propane tank is a portable tank or a full-size home tank, they are made of the same components. Over a period time, overuse and aging can cause your tank to make noises – the noises will either be coming from the tank itself or the gas line. Unusual sounds tend to be a bad sign, so if you think there may be a problem with you propane tank, read on to find out what the noise indicates, or get in touch with us at Northwest Propane. If you hear a gurgling rumble or humming noise when you turn on the gas, your tank may have been overfilled. This means that the tank will be experiencing excess pressure, which puts a strain on the regulator and reduces the outflow from the tank. If you’re experiencing weak flames, low heat or discolored pilot lights, it’s highly likely that the tank has been overfilled. Another source of humming is trapped air or the vibrating of the regulator. If you are unsure of what’s causing the noises, or if you think that your propane tank has been overfilled, do not try to drain it yourself as this can be highly dangerous. Get in touch with a professional instead. A knocking sound can, in fact, be an indicator of danger. Usually, when you hear knocking coming from your propane gas tank after it has been turned on, it means that mixture of gas and air is uneven. You can check the flames to establish if this is the case – blue with a yellow tip indicates the correct measure, but if they are yellow or white, you should call a technician. Hissing is the most common sound to come from propane tanks. Hissing is usually a sign of a gas leak and therefore means that you turn off the tank immediately and call a professional. 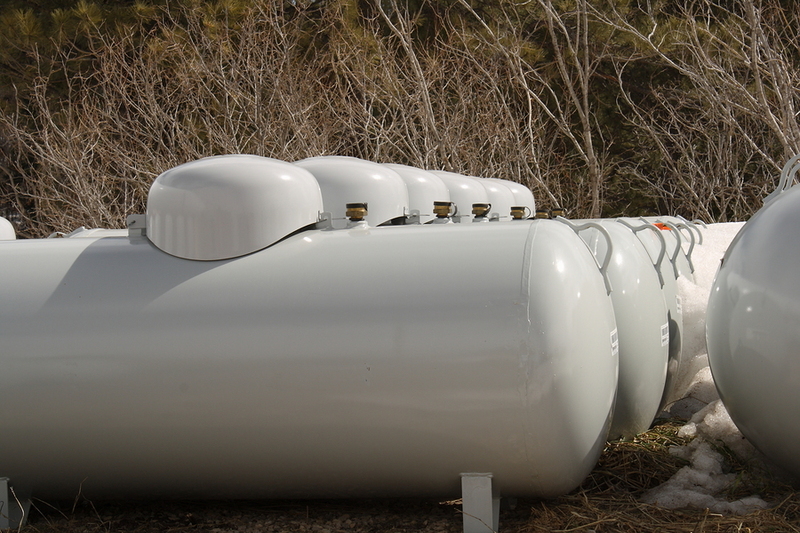 If you want to find out more about propane tanks, or our services at Northwest Propane, get in touch with us at 972-247-6121.